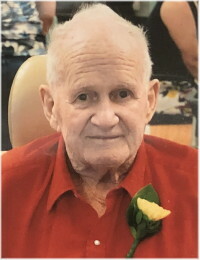 Robert passed away peacefully in his sleep on Friday, March 22, 2019 at the age of 89 at East Gate Lodge Personal Care Home in Beausejour. Robert was predeceased by his wife June and his son Michael. Robert will be lovingly remembered by; his eldest son Bob (Jennifer) and Bob’s children Michael (Anne), Brenda and step-son Justin, Bob’s grandchildren Charissa, Cheyenne, Seth, Alexa, Kage, Max, Jaxon, and Bob’s great granddaughter Chaylee; as well as his youngest son Jim (Michele) and their children Eric (Sarah), Cory (Alisha), Ashley (Travis). Robert is also survived by brother Tommy (Ruth). Robert was with the Winnipeg Police for 18 years. In 1969 he started Select Shows Travelling Amusement Ride Company which Jim and Michele still run to this day. His son Bob and wife Jen continued running Canuck Amusements and grandson Mike who runs A1 Midway is Alaska. Robert took great pride in his sons Jim and Bob for continuing with the family business and how it grew and became the success it is today. Bob will be missed terrorizing the town of Beausejour on his scooter and for the stories he shared with everyone. A special thank you to the staff at East Gate Lodge for their care, compassion and tolerance for our dad. Thank you to Gaylord and Liz Newman for their friendship with dad. As per Bob’s wishes, cremation has taken place and no formal service will be held. Roy and I are so sorry to hear of your father’s passing. Bob Sr. was surely a colorful fellow who always had a story to tell or a joke to share. We always admired the attention you gave to him and where ever you could take him , you did. He was very lucky to have you as his children. May he rest in peace. Know that our thoughts are with you.